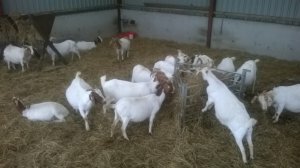 We have here quality Boer Goats , and milk producing holstien cows does and bucks are now ready , we have good quantity and we supply our goats to any destination around the world since we have a very good and reliable shippers. we sell with discounts. contact us now for more details , best price and availability.